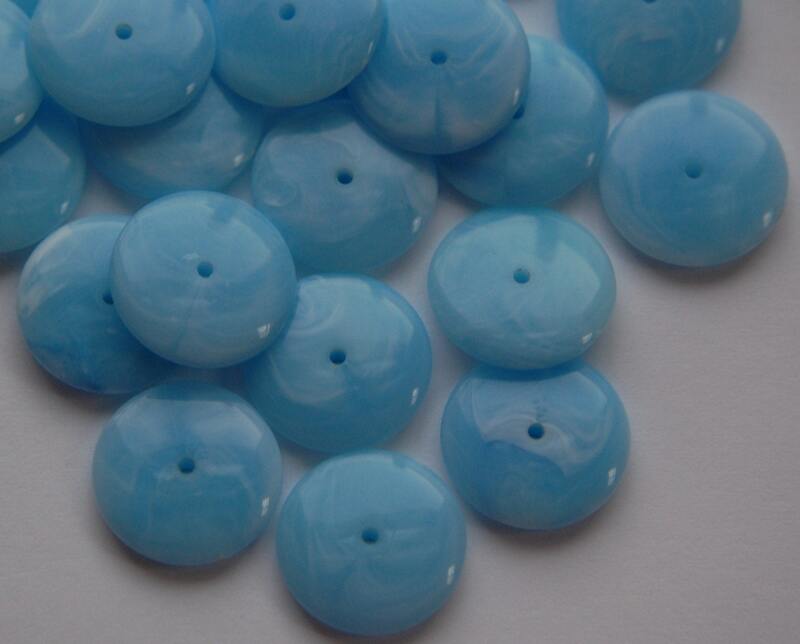 These are vintage lucite beads that were made in Italy. 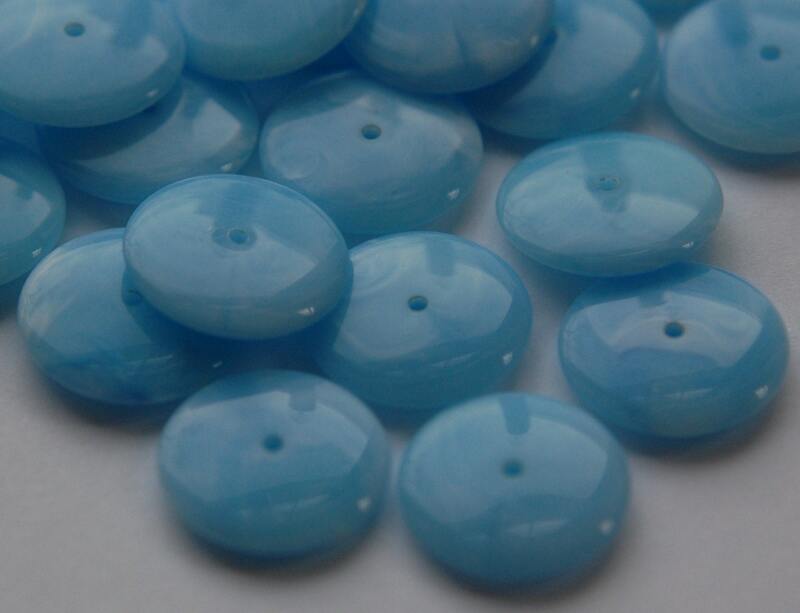 They are a soft blue color with swirls of white, like a summer sky :) These measure 16mm X 2mm. You will receive 24 of these.